Definition at line 36 of file readvertise-destination.hpp. Definition at line 53 of file readvertise-destination.hpp. 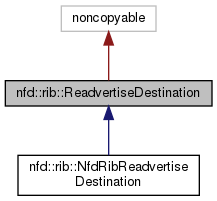 Definition at line 35 of file readvertise-destination.cpp. 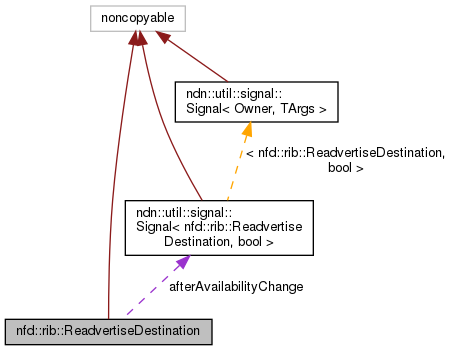 References afterAvailabilityChange, isAvailable(), and NFD_LOG_DEBUG. Definition at line 65 of file readvertise-destination.hpp.